TALK CLEAN TO ME: Infection Control Week - 7 days of focused prevention! Infection Control Week - 7 days of focused prevention! This week is International Infection Prevention Week (IIPW) around the world. As many of you will know from reading past blogs, Infection Prevention and Control programs have been widely recognized as a corner stone to preventing and controlling the spread of infections both within the community and within healthcare facilities. IIPW is a week to not only promote infection prevention practices but celebrate with healthcare workers for the work and efforts put forth the other 51 weeks of the year to stop the spread of infection. 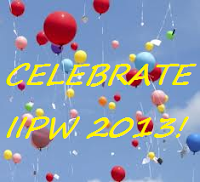 While IIPW is often focused towards healthcare settings, there is nothing to stop those of us who work in non-healthcare areas to celebrate IIPW. There are numerous fun and educational games or activities that can be tailored to any facility. A hand washing competition using Glo-Germ (UV reflective goo), regardless of where you work is always entertaining! Or with the increased usage of ATP meters, activities such as “who has the dirtiest cell phone or keyboard” can also open one’s eyes as to the need for cleaning and disinfection of the surfaces we touch and use frequently throughout the day. Test your Infection Prevention knowledge with the following questions. If you post your answers on the blog and we'll let you know how well you did! 1. To disinfect for pathogens such as bacteria or viruses, spray or wipe the disinfectant on to the surface to be disinfected and let air dry. 2. Cleaning with a disinfecting agent will remove pathogens no matter how you use it. 3. The most common route of bacteria transmission is contaminated surfaces. Perhaps next year we can have an Infection Prevention joke off? Do you think I'd win with this? How do you get a tissue (Kleenex) to dance? You put a BOOGIE in it!!! A little Salmonella with your Chicken? A New Claim on the Block?